Again a pretty light Friday but at least it’s actually a Friday this time! The Kentucky Derby is tomorrow and I went to the beach twice this week, as it’s the only reasonable place to be when the weather is over 80 degrees. And I finished Middlemarch this morning. Very exciting. And say to my new beluga desktop background. Vacation inspiration from the ever-fabulous Tracee Ellis Ross. There’s a Reformation store coming to Boston! From Crystals to Horoscopes: The Rise of Spirituality in a Skeptical World. The intersections of wellness, spirituality, and woowoo stuff always fascinates me. This film looks super cute. Need some self-care reminders? @tinycarebot has you covered. No, I don’t actually watch Dancing with the Stars. I’m a fan of this style of girl names. What would you pick for this couple? I hope you had a lovely Saturday. I took a forty minute detour to claim a vegan cinnamon roll, visited the Louvre’s special Delacroix exhibition, and ate a pizza (also vegan). Keep an eye open for an upcoming ‘best vegan pizzas in Paris’ post. The sequel to the Boston edition- we’ve relocated. So here’s what’s happening on the interwebs, carefully avoiding the trend for snorting condoms. Body glitter is now the only appropriate use for the Kira Kira filter. I am entranced. Infernal Affairs and The Departed– for me The Departed wins because Boston, but I have yet to see Infernal Affairs (it’s been on my list SO LONG) so that’s not worth much. It does look excellent, doesn’t it? If you’re a Royal Wedding fan, maybe you want to enter this social media contest to suggest its defining ice cream flavor? The unstoppable rise of veganism, about which I have mixed feelings (more people want to eat my cinnamon bun but more places sell vegan pizza). The benefits of a plant-based diet for health and the environment. Congrats to Yale and congrats to Nathan Chen. A follow up on the Orientalism inherent in Wes Anderson’s Isle of Dogs, and in the broader world of American cinema (with a very interesting segment on 2015’s Met Gala theme). “It’s Japan purely as an aesthetic — and another piece of art that treats the East not as a living, breathing half of the planet but as a mirror for the Western imagination.” And perhaps the only thing that will lead to a more fair, just, and equal portrayal of Asians in cinema and pop culture is the spending power of that huge sector of the world population. As this is my last full day in Boston and also a blizzard day (16-18″! ), and as I have no books left from the library (I had to go back and cancel my extra holds yesterday 😥 ) this list isn’t going to go through any alterations before the actual end of the break tomorrow around 7 pm (at which point I will be at the airport) (unless I finish The Sun and Her Flowers by Rupi Kaur SUPER QUICKLY), I can get away with posting this a bit prematurely. I have packed my bags and read my last book. The Secret Lives of Color, Kassia St. Clair: An excellent and really interesting book about the histories of various culturally significant colors (like Mountbatten Pink, Lead White, Cerulean, et al.) featuring odd and various anecdotes from the past. Each color discussed gets a few pages. Very far from dry, perfect for increasing your store of random information for use at parties and family gatherings, and a very aesthetically pleasing book. Wild Things: The Joy of Reading Children’s Literature as an Adult, Bruce Handy: I’m a huge children’s lit reader. Possibly more so than I was as a child (and that’s saying something). Watching the author discuss and examine childhood favorites (Goodnight Moon, Peter Rabbit, Green Eggs and Ham) through an adult lens, with an attention to various social/cultural movements, is so fascinating. It doesn’t hurt that the author is really witty. I think I audibly chuckled a few times. Contrary to my usual preferences, if was a very nonfiction-heavy vacation. But I feel edified, improved, and most importantly full of odd anecdotes to share. Happy Christmas Eve Eve! I arrived home yesterday afternoon and am super jet lagged and being treated to a very New England ice storm. It’s excellent. We’re going to see The Last Jedi tonight and I think my excitement will be such that I will stay awake. I’ve heard lots of interesting things about it but have so far avoided any spoilers. I have a healthy (and scented!) collection of links this week! Quentin Bisch on “a journey to dreams and emotions” and what it means to be a Givaudan-trained perfumer. The Cult of Le Labo Santal 33. I think it smells like cucumber. Zoologist has some new releases– I think Camel sounds very appealing. What did happen to jeans in 2017? Honestly, whatever it was, I kind of liked it. An Instagram account I’ve started following, which gorgeously marries art and fashion/cosmetics. Finding one’s sense of style really is a personal journey. I don’t think I could truly define my style beyond ‘things that make me happy and that I like wearing’. What did you learn this year? I loved reading the comments. The Ocean’s 8 trailer has me excited. Pantone’s Spring 2018 color trend forecast. Some great gift ideas for francophiles (ahem, me) via My Little Paris. 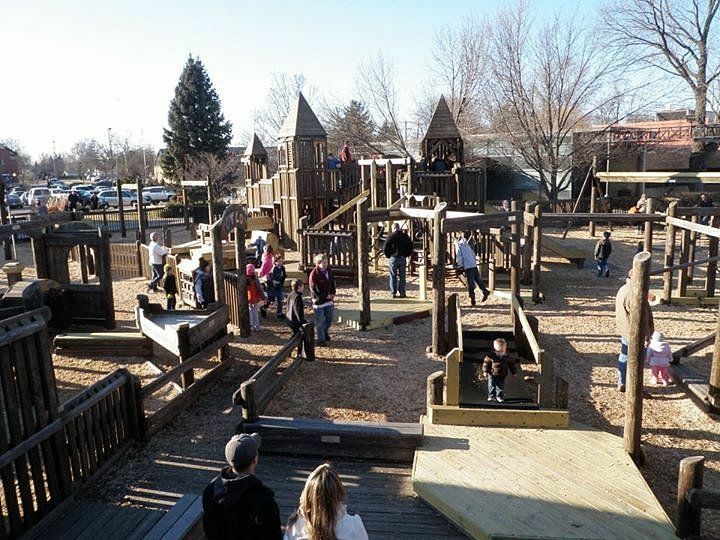 Excited to see Swing Time on this list of the world’s coolest playgrounds. It inspired me to search for Imagination Station and discover that it was in fact a thing and not just a figment of my childhood imagination. Now that was a playground. This clip of the original Fantasia just blew my mind. Keeping the NYC Vogue scene alive. How to wrap a cat. On the streets of a city like Boston, you run into a lot of different things. Here’s how to 1) tell if what you’ve encountered is a tourist, and 2) gently assert your dominance over and superiority to it if it is. Over the past few years, I haven’t been a big one for eating out. 1) Anorexia obsessiveness has made it difficult, 2) I love cooking and eating homemade food, and 3) veganism. But that’s all changed recently and I’ve gotten a sudden yen to explore the Boston area food scene. The first symptom was probably my desire to do the much more delicious version of a pub crawl- my vegan pizza tour of the Greater Boston area. Which was super successful and very yummy.